The Baba Khajandas College of Technologies was established for providing professional guidance through education in Punjab to the rural people who really want to exceed in their life and achieve a good standard of living. The College aims at providing professional education to develop a better mankind in the industry. The BKCT helps the students to opt for the desirable opportunities to set a career with international standards by achieving academic and ethical excellence and also groom their personality to cope up with the changing needs, environment and competition in today’s world. The students are also given a chance to push themselves towards success during their research work through motivational activities and their personality development. The College has its primary objective of providing technical education amongst the youth of Punjab. Why to join Baba Khajandas College of Technologies? Facilities: Numerous facilities like well furnished class rooms with modern amenities, a well maintained and stocked library for students and teachers as well, hi-tech lab facilities with latest equipments are provided to the students. 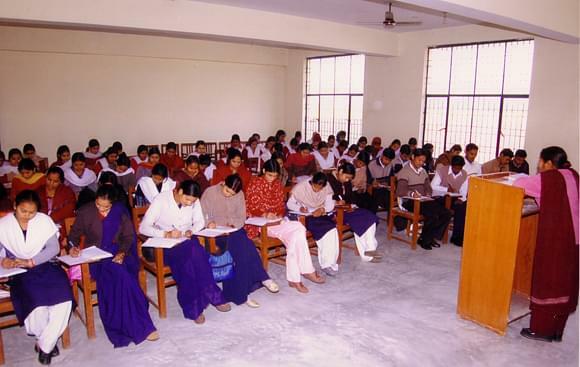 Placement: Different placement programs are carried by the College.